Origin Diagnostics offers a complete wholesale catalogue of on-site instant drug testing products. 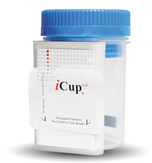 We carry several different brands including our I-Cup Urine Drug Test, Eco Cup II Urine Drug Test, Split-Key Urine Drug Test, Dip Drug Test, I-Screen OFD Oral Drug Test, Oral Cubes, Alcohol Test, K2 Spice, Nicotine Tests, and Pregnancy Test. Please do not hesitate to contact us today for bulk rate pricing.